Redwood is a premium WordPress theme, released in June 2015 by Solo Pine, an Envato Power Elite author. 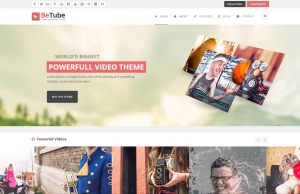 It is representative for any blog or personal website. With a black and white touch, this is a clean template, very easy to understand and use by beginners. Modern, styled and versatile, Redwood could be a good choice for bloggers. 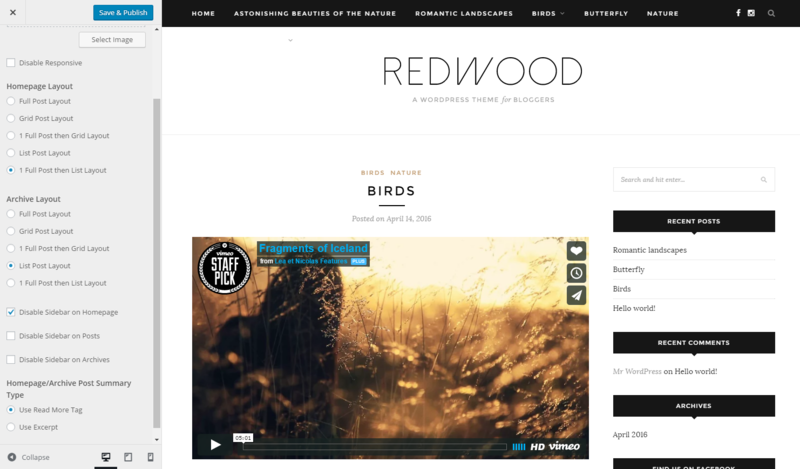 Redwood was developed to impress the website’s readers, with a classic, clean and aesthetic design. 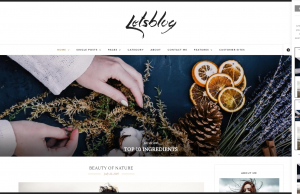 This theme brings five different blog layouts, and you can use beautiful posts or expressive sliders to deliver a great visual appearance. Besides, you can display promo boxes as ads. 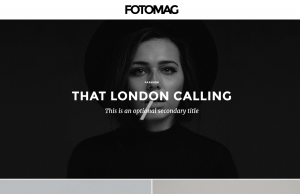 A post can support image galleries, video, and audio formats. 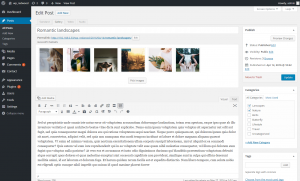 You can show pages in maximum width size, with sliders and promo boxes. With this theme, you have the option of selecting a responsive design if you wish to do so. 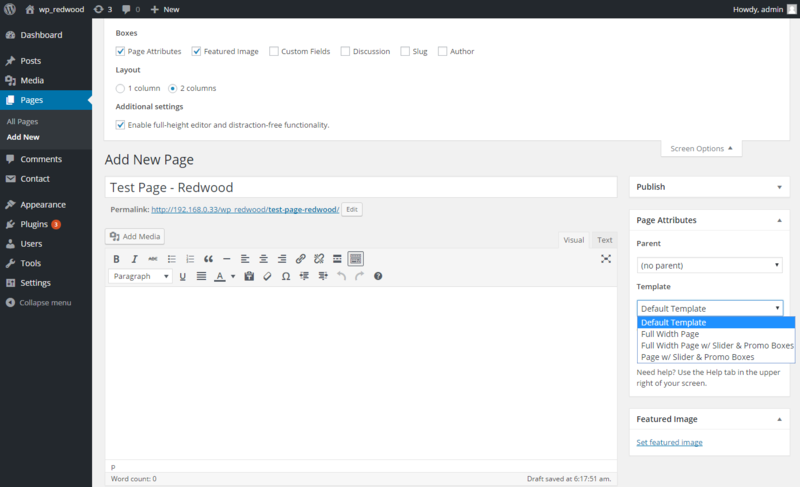 Redwood is using a theme Customizer panel, where you can reach all the settings. 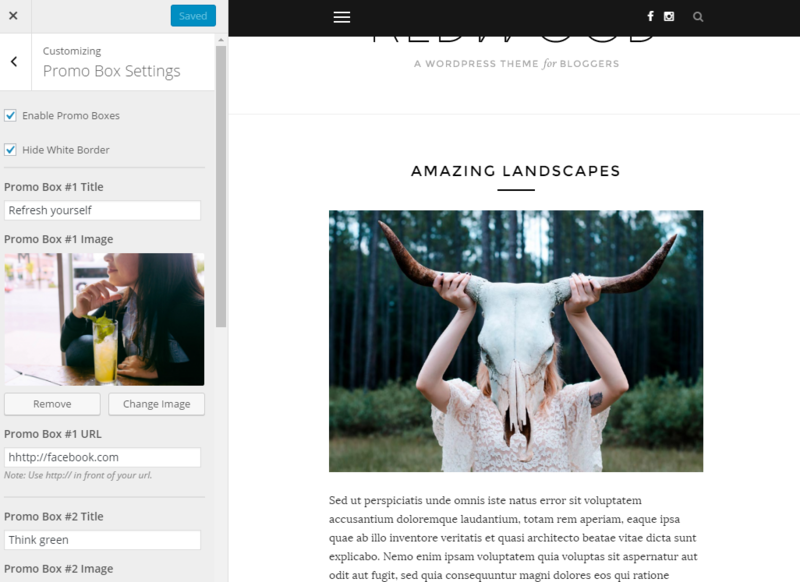 In General Settings tab, you can choose one of the five homepage or archive layouts. You can set an image as logo and customize the header area. On the top bar, you can display social icons, the search button, and make this section sticky. This option allows your users to navigate through your website pages and posts easily. 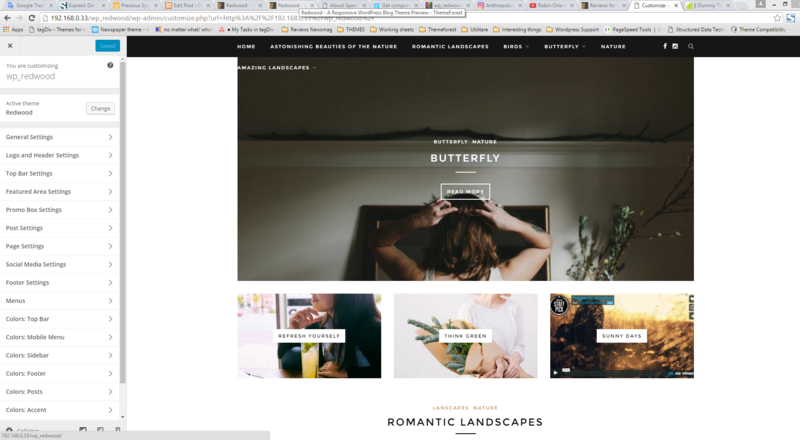 On the homepage, you can add up to three promo boxes as ads, just by setting a title, an image, and a link. Redwood is social network friendly, and it comes with four widgets, including Facebook and Social icons. In our era, time has become a precious commodity. We value a product by the benefits it offers, but we also judge it by the speed its output is delivered. We have tested the Redwood’s default demo on different page speed tests, and the content loads at a slow speed. 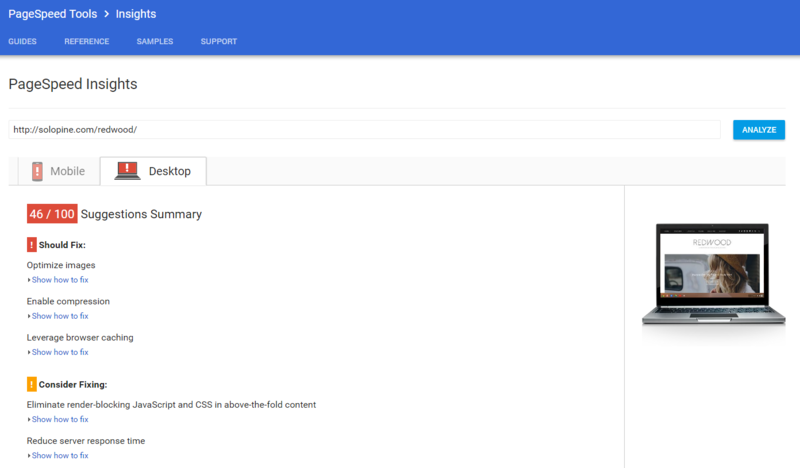 The documentation is less detailed than expected, and the theme doesn’t have an option to set a Google font or custom typography. 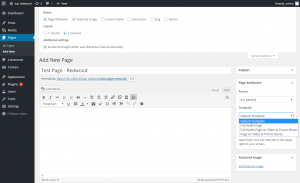 To change the default fonts from the Redwood theme, you have to use a plugin. Also, mega menus and sticky sidebars are not available on this theme. 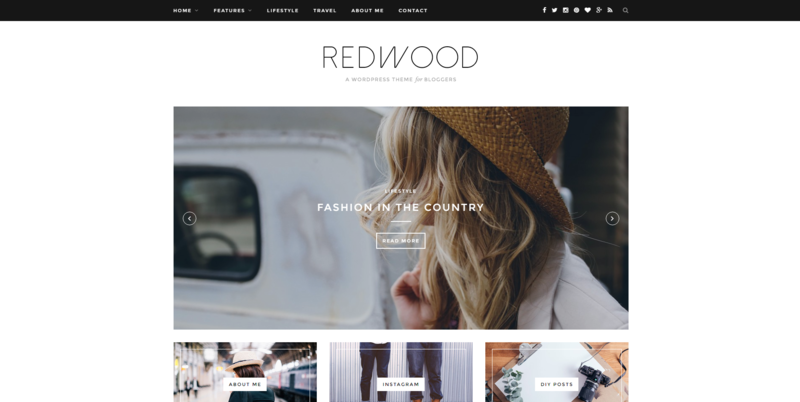 Two of the predefined page templates refer to a ‘full width’ page, but Redwood’s maximum content width is limited to 1170 pixels. 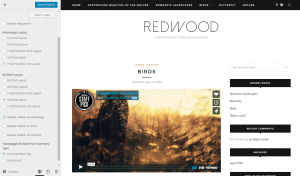 Redwood is designed to be a very social friendly blog theme, with clean layouts and classic lines. The theme is constantly updated and improved, as the Solo Pine author is continuously developing Redwood.